Like many people, I am a big-time movie fan. I appreciate great acting and Leonardo DiCaprio is quite possibly my favorite actor. My two favorite movies of his are “The Beach” and “Catch Me If You Can” (I own both of those movies). “Blood Diamond” is also right up there. Anyway, Leonardo DiCaprio’s personal trainer for “The Beach” tracked me down and asked if I wanted to do a Q&A session. What is cool about his story is that he was flown to Thailand and only had a little over 2 weeks to whip everyone into to top shape. Leo needed to drop 17 pounds in roughly two weeks. Cornel explains how he accomplished this feat, along with other cool things about his experience, in this interview. Cornel Chin has been a fitness professional for over 20 years. He is an expert at “fitness troubleshooting” as well as preparing actors and actresses for movie roles. He is based in the UK…is a frequent guest on radio as well as television…has written three fitness books…contributes regularly to dozens of fitness publications. Along with all of that he gets flown to remote locations around the world to train celebrities to get fit for big-time movies. “The Beach” was Leo’s next movie after “Titanic”. 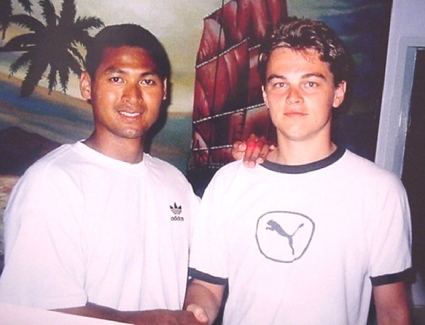 DiCaprio at that time was considered Hollywood’s leading man. So Cornel had just a little bit of pressure to get some dramatic results and a short time to accomplish this. Before we start, I know that some people are going to try to compare Leo to someone like Brad Pitt in “Fight Club” or Cam Gigandet in “Never Back Down”. The thing to remember is that Cornel’s job was to make the entire cast of “The Beach” look lean like they lived on a desolate island. It would have looked a little odd if everyone looked like fitness models. Leo wound up with a slim surfer’s build…and this fit his role perfectly. Again…Cornel hit it just right in my opinion. Rusty: Cornel, I am so pumped that you contacted me. 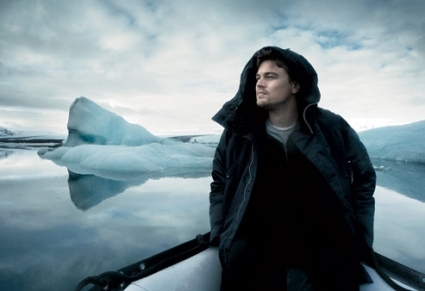 I know it sounds like I am just saying this, but Leonardo DiCaprio is one of my favorite actors. I took my girlfriend to see “Shutter Island” recently and it delivered as promised. I actually own a copy of “The Beach”, because I consider it to be a classic and one of Leonardo’s best movies…plus the scenery is out of this world. So how did you get to work on this set and train Leo? What an incredible opportunity! Cornel: It most certainly was an incredible moment for me. My ‘route’ into training Leo was through an existing client at the time- the film’s producer Andrew MacDonald (who’s still my client and very good personal friend!). At the time, Andrew completed his most recent film ‘A Love Less Ordinary’ (starring Cameron Diaz and Ewan Mcgregor) and was keen to transpose the very popular book ‘The Beach’ into celluloid. During one of our training sessions, Andrew and I discussed the idea of he and Danny Boyle (the director) of getting Leo on board for the lead part. Remember, Leo was then the world’s most sought after actor, riding the crest of the wave of success of ‘Titanic’ just recently released. Andrew mentioned if Leo agreed to the part, then I would have the opportunity of training him in Thailand. I genuinely didn’t ponder over it for too long believing Andrew was joking. Several months after that discussion, Andrew called me from Thailand and said “Pack your bags- I’ve got Leo for the film and you’re coming to Thailand to train him. I’ll arrange a first class plane ticket, accommodation and chauffeured car for you”. Not many people receive that kind of offer every day, so how could I refuse?! Rusty: What I like about “The Beach” is that Leonardo and the cast just looked lean and healthy. They looked like lean vibrant people and they weren’t “over-done”. Did you train everyone on the set? Cornel: Indeed, I did- from Leo himself to Danny Boyle, the entire film cast to the director of photography. They were all very keen to have a go at exercise and liked the idea of the set’s very own resident fitness trainer! They were the greatest bunch of people to work with. We’d start the morning off with a training sessions right on the beach at 0830 hours and again about 16.00 hours either in the hotel gym or back on beach. Rusty: That sounds amazing…I will use any excuse to go to the beach. Can you describe a typical beach workout? Cornel: As you can appreciate, the beach itself was devoid of any form of exercise equipment. This meant that I had to think outside the box- be creative and conjure up nearly three weeks worth of exercises that would firstly be safe, effective yet fun and exciting. Being on a beach environment was a bonus, as the sand is one of the best surfaces to exercise on. We started with a warm up that consisted of mobility exercises followed by some light running on the beach- forward, backward and lateral runs were added into the mix for variety. The cardio section involved bodyweight exercises, incorporating circuits. We would mix it up with some kick boxing drills, more running coupled with a few competitive races, etc. Since we had the ocean to hand, we’d occasionally get in the water and do water aerobics. The specific work involved targeting the abs, upper body and lower body. All of these exercises involved using exclusively bodyweight exercises such as press ups, crunches, leg raises and so forth. At the very end we would spend about 30 minutes of stretching and relaxing looking over to the beautiful ocean as we all told jokes! Rusty: Completely off the topic of working out, but what was your favorite area of Thailand. I plan on going someday and want to know where the must-see places are. Any advice on hotels, beaches, restaurants, etc? Cornel: Since I was in Thailand for only three weeks, and was primarily based on around the south eastern part of Phuket, in Cape Panwa near Phuket town, I only really managed to visit a few places. It’s an area of white sandy beaches, amazing diving and clear blue water make it a sea and sun worshipers paradise and if you like nightlife, there’s plenty of places to shake your stuff! I stayed at the Royal Phuket City Hotel and Cape Panwa hotel which at the time, were superb. They were both situated right on the beach front with an abundance of eating places nestled around them. The hotel restaurants served up amazing food. We tried most of the small local eating places, to sample the ‘real Thailand’. We found the small local restaurants to offer the best Thai cuisine- real Thai home cooking. I’d shy away from the food street vendors though. This is perhaps personal taste and didn’t actually try these-it’s more a case of being sensible, although we regularly spotted tourists eating from these establishments. Of the places to visit, well the list is exhaustive. I really wouldn’t be able to tell you where to start. The entire island is a tourist’s haven. My advise would be to arrange a ‘rolling trip’- stay at various locations in and around Thailand. That’s what most tourists do and that’s what I’d do when I revisit hopefully next year. I’d make sure I read all of the guides and speak with various people to get the ‘skinny’ on Thailand. Rusty: How far away was Leo from his target goal when you started and how long did you have to get him in top shape? Cornel: When I initially met Leo, we discussed his medical history, eating habits etc, so I could build up a profile on him that would enable me to tailor make an effective training plan. Leo wasn’t in the greatest of shape when I first met him and he was a good 8 kilos (17 pounds) from his ideal body shape. Contrary to what the media negatively and unfairly portrayed about him at the time, Leo had gained some unwanted weight. This was not as a direct result of being complacent and living a debauched lifestyle after the success of ‘Titanic’, but because he’d had recent ligament surgery to his knee. This caused him to be inactive for a while, which resulted in some excess baggage. To get him in the best shape I could, specialist training skills were employed, as I had very limited time before filming commenced. The “look” required for the film by this time was a lean, well toned appearance – as if he’d been living off the resources of a desolate island. Many of the shots in the film featured Leo shirtless, so he had to feel confident about his body. We trained exceptionally intensively for over two weeks. Although it was a very unorthodox approach, we trained on a twice daily basis for two hours each session. The workouts were divided into warming up, aerobic exercise for 45-60 minutes followed by an hour of specific resistance training. My main fear at the time was Leo getting injured with the immense amount of training he undertook. Fortunately, Leo is used to being active, regularly playing basketball and dynamic Frisbee in his leisure time and had youth on his side, so he was able to get in ship shape condition very rapidly. The results speak for themselves in the film! Rusty: Wow…4 hours per day…So that is roughly 28 hours per week. The average person training to get in shape for the beach would put in closer to 6-7 hours per week. So you compressed about 8-9 weeks of training into 2 weeks? The results do make sense and it was a well-though out approach. You really had to be that aggressive for Leo to lose 8 kilos (17 pounds). I like the idea of being aggressive for short periods of time, because I think the body can handle it. What are your thoughts on aggressive approaches? How long do you believe people can push hard before over-training? Cornel: Yes, that was a hard decision to make. Admittedly, the production team of the film left it to the last minute for me to shape up Leo. I advised them that the Almighty above, magicians and witch doctors are experts at making ‘miracles’ happen, but fitness experts are rather limited in that respect! I did however, manage to pull it off with Leo, as evidenced by the way he looked in the film. Having said that, it was a very unorthodox approach and not a typical workout for the unconditioned or exercise neophyte. It’s hard, intensive and aggressive exercise, designed to ‘shock’ the body into change and improvement. This method of training is ideally suitable for very well conditioned, accomplished athletes whose bodies can handle the barrage of that intensive abuse. Think of a boxer during training season. He’ll spend up to five hours daily training up to the big match. This format of training can only be employed for a short period of time before the effects of over-training creep in. Two to three weeks is really the absolute limit and should be chased up with a week’s recuperation period. Rusty: You mentioned that you had the cast do aerobic exercise for 45-60 minutes. Cardio and aerobic exercise gets little respect these days, but like you, I still endorse it as an effective way of getting lean. Combined with proper resistance training and obviously a “dialed in” diet, it creates a pleasing physique. I have dieted hard and skipped cardio and I just never felt as healthy as when I include cardio in my routine. What are your thoughts on this? Cornel: I can’t personally state that aerobics has fallen off the radar recently. In my experience, it’s as popular and as sought after as it’s always been, especially here in Britain. It may be slightly off the boil in the USA at present and the reasons why I believe cardio isn’t as well regarded as it previously was is due to the introduction of newer, fresher, more exciting exercise trends and products that have come on stream. Anaerobic training methods have had a big ‘push’ and the on going campaign in favour of the Power Plate and Vibro Plate that are today’s shining fitness stars, followed closely by the variety of Pilates training methods appear almost relentless. There has also been a renaissance of resistance training- waxing lyrical or extolling the virtues of lifting weights to increase the body’s metabolism. Perhaps these have replaced the good old fashioned cardio work? In the UK fitness clubs, ‘Spinning’ is the most popular class of all classes run by these establishments. These classes are often over-subscribed. The treadmill too, is still the machine club members queue up to use, so it’s plain to see the popularity of cardio in the UK today is undying. I encourage and educate my own clients on how imperative cardio work is within their structured workouts. It accounts for over half of the routines I use with my clients. I express and stress that with the absence of cardio work, they wouldn’t be shedding unwanted surplus fat, they wouldn’t derive heart and lung power and they won’t lose weight. Rusty: Leo is a guy that you just can’t help but like. The funny thing was that part of me didn’t want to like him. It was probably just out of envy, because it is sometimes hard to cheer for someone who has such huge success at a young age. I changed my mind after watching movie after movie where his acting blew me away. He just comes across as a stand up guy. Is he that way in person? Cornel: It was genuinely a real pleasure to work with a regular L.A street guy who just happened to be the biggest star on the planet! What struck me the most about him was how very down-to-earth he was. He’d remember most people’s names on the set and was always willing to talk, blend in and hang out with us all during his free time. He takes his acting super seriously and works at his craft, which is very evident in his films today. He deserves all the success he receives. Rusty: A big philosophy of my site is an “attractive body” and a “gym body” are not necessarily the same thing. I like to workout in the gym, but create a look that doesn’t scream “gym”. You are personal trainer who seems to get this. Can you tell me more about your philosophy? Cornel: People participate in exercise for a multitude of reasons. Many people like to sculpt their bodies and put it on show for all to see. There’s nothing wrong in this behaviour and it may well be deemed as a case of pure 100% narcissism. To them, it may be a display of how proud they are of their hard work in attaining such an incredible shape. Some people train for health and medical reasons and others to feel better in themselves. Regardless of the reason for exercising, my basic philosophy is: “If you don’t make time for exercise, you may one day have to make time for illness”. Rusty: So it looks like you have a new book out. 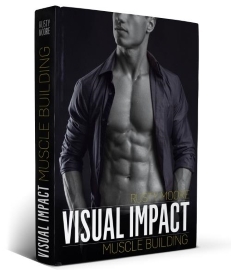 How is it different from a lot of the other fitness books on the market? Cornel: That’s always a good question, as there is a myriad of fitness titles out there all competing for the hot sellers list! My book is very much focused on the ‘No Gym required’ workouts. Although there are many books that furnish the reader with workouts that can be done outside of the gym, my book was created on the theme of ‘Exercise your way out of the Credit Crunch’. It has come at the right time, in light of the current financial meltdown and escalating unemployment. People will still want to keep fit and stay in good shape. Indeed, many have or are considering giving up their expensive and unaffordable gym memberships. Once they do cancel their memberships, they’ll be desperate to find alternative, practical and effective exercise solutions. They’ll expect to achieve workouts to match those they can perform in their gym environment. After all, they won’t want their hard earned efforts to come to an abrupt end. The main ‘bones’ of the book will focus on how to train effectively and how to generate and maximize results with very little or no money. The only investment made on the reader’s part will be time and effort and will be a sure fire way to guarantee great returns! Rusty: I love the idea of teaching people to get fit outside of the gym. It is actually a skill that I believe everyone should learn. Does your workout require any special equipment? Cornel: ‘Skill’ is very much the key factor when training my clients based on the ethos of the ‘No Gym Required’ style of workouts. My workouts requires very little equipment or use of sophisticated equipment. I typically employ body weight or free exercises and will often use light weights, jump rope, Step platform, kick boxing sparring mitts and focus pads, resistance bands, Swiss ball, balance board and exercise mats. If I train outdoors then I’ll seek out a park with a dedicated exercise area. Often these will consist of a sit up bench, dipping bars, balance beams, pull up bars, monkey bars, low hurdle bars etc. I’ll devise a workout structured around the equipment available. I always use a heart rate monitor to check on my clients pulse and training zones. It really does boil down to the trainer’s skill set and creativity when training equipment is unavailable or limited. Rusty:: I love trainers like you who are making getting in shape accessible to everyone. I really applaud your message here. I’ll make sure and include a link to your new book. Is it out now? Cornel: Thanks a bunch for the compliment and praise and I really feel privileged to be posted on such a popular prestigious site such as yours. The book is now available in north America and will be rolled out in the UK on 1st May of this year. Note: I’d like to thank Cornel Chin for explaining the steps it took to get the cast of “The Beach” in shape in such a short period of time. I haven’t read his book yet, but plan to as soon as it arrives. If you get the chance, head over to Amazon and check it out. One last thing…I plan on getting more interviews from top celebrity trainers like Cornel on a regular basis. I always thought DiCaprio was a great actor. He was great in Marvin’s Room, in Basketball Diaries and What’s Eating Gilbert Grape but everyone one hated him because of Titanic, even though his acting on Titanic was high quality. Also he never wanted to be such a star that makes all the girls drool. It just happened but didn’t change the fact that he had always been a very good actor who wanted weird and hard roles. Even at the age of 16 he didn’t want to be in blockbuster movies and actually sought less known directors and projects to challenge himself. I am addicted to your site and the plethera of information it contains. I loved reading this interview with Cornel Chin, and The Beach is also one of my favorite Leonardo movies. I own it too and I just set it out so I can watch it later after I workout. I have been doing HIIT on the treadmill for 18 minutes a day most days, combined with 20 minutes of steady state cardio afterward. I have seen a difference in my shape and I have lost 2 pounds in less than 1 week. Of course, I am eating a strict diet of 1300-1400 calories per day and not eating a bite 5 hours before or 1 hour after doing my HIIT. I had hit a wall with my weight loss. I found that I was actually putting on muscle and getting bigger – even my pants were tighter. 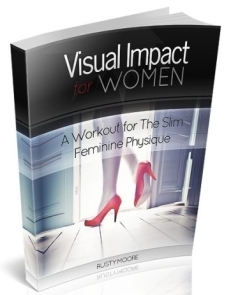 I was doing all sorts of crazy leg lifts exercises and with my middle eastern ancestory – this was not the right thing for me to do to slim down. Wish me luck with my ‘muscle loss’ and slimming down. I am taking a complete month off from lifting because I have been lifting for months and have seen little weight loss, I am more toned but I still have 20 pounds to lose and can’t afford to bulk up anymore – I was feeling like a beast and not a lady. Thanks again for such a great site. I look forward to reading new posts and blogs each evening. Great interview Rusty. Did you happen to ask or know what kind of diet Leo and the rest of the actors we on? Roughly how many kcals per day/week? I spent a month in Phuket, Thailand — even visited the beach where “The Beach” was filmed. There was tsunami that changed a lot of landscape apparently, but it was simply STUNNING to see that beach in real life. Incredible. Definitely one of the top 5 most beautiful things I’ve seen in my life. Congrats Rusty. You deserve all the success you are getting. This is just the beginning my man. Keep it up. Big things coming up for you and this blog. Dicaprio keeps getting better – he was fantastic in the new Shutter Island. It’s inspiring to see the physical transformations that actors can pull off in such short time frames & it’s even better to hear about the techniques from their trainers. They got to the level of celebrity trainer for a reason. Hi rusty, excellent stuff! I don’t really subscribe to what cornel says, really. You can shed unwanted fat by just doing some EDT-esque fat loss training, can’t you? But lung power is best trained by cardio, no doubt. Intense interval sprints with short rest periods and really pushing at 9.5/10 intensity, perhaps? Romeo and Juliet, Catch Me If You Can, and Revolutionary Road were all good, but I never really liked The Departed. This is from my personal experience. I have been following your blog since the last one year and have achieved low body fat percentage (been on 7% for more than 4 months now). I wanted to say, I do not do cardio, all I do is overeat and underfeed myself through the week. That would mean I follow some sort of an intermittent fasting routine. Yes, I follow ESE and I eat anything, as in I have atleast 4 beers through the week, go to Burger King atleast twice a week. I think Cardio is over rated, no I am not against it, nor am I disagreeing with you when it comes to HIIT, but I think things can be done by managing the Calorie intake alone. I might be wrong, as I have little knowledge on the physiological aspects, you are an expert on that field. Correct me if I am wrong. Here’s my knowledge, all taken from my experience, If we take care that the total calorie intake over a short period of time is lesser than the sum total of the bmr than anyone can lose fat. If someone needs to speed up he/she just needs to minimize that short period of time. Maintenance revolves around the same theory. Actually everything related to fat loss, maintenance revolves around, ‘Calories in Calories out’. You, John, Brad, everyone is a true expert in this field. really cool that cornel contacted u, seems that he shares the same thoughts that u do on fitness aswell that he think it is crucial for a good health(wich it is). love that u are planning to do more of these interviews with fitness trainers, fun to read. To go along with Clement’s point, you constantly state that cardio is OVERATED, but in your interview you say “Cardio and aerobic exercise gets little respect these days, but like you, I still endorse it as an effective way of getting lean”. Please explain or did I read your book wrong? I agree that cardio gets you “healthy” but according to your book it does not get you lean. I’m confused now. @J.Emory- Rusty has stated a few times on this site that he does HIIT and then steady state cardio in order to get lean. The Beach is a solid movie – great soundtrack with that hypnotic tune from Moby. Leo had my respect after The Basketball Diaries so no surprise he’s done so well for himself. Interesting read ! …I am literally addicted to the site..have been following the IF system for a few weeks now…pants and jeans are already fitting way better..I have a while to go because I want to get my bodyfat lower …about to add in HIIT…doubt I can attempt this 2 week 4 hours a day training…would love to shed weight that fast but w/ an 8-5 …that is nearly impossible ! Why didn’t you ask him about Leo’s diet?? I think all of you guys miss opportunities to talk more about the diet of these fitness regimens that constantly beating on the workout conversation.. Cardio, resistence training, rest.. etc etc etc.. We are all familiar with what needs to be done in the gym.. However, you look the Way you EAT.. I’d more interested in the diet of Leo’s & others, than their workouts.. Let me know if I’m missing that part of the interview..
Hope all is well Rusty.. Loved this interview Rusty and it adds great variety to the site! – I have travelled around Thailand and really enjoyed it. My travel blog is still online so instead of taking up too much space here please feel free to check out my recommended stop offs when you hopefully go! (http://luvet.travellerspoint.com/co/201/). -Cornel picks up on a good point about our classes here in the UK. I think we are a few steps behind the US. Body-combat and spinning are (still) all the rage. I have enjoyed the odd circuits/boxercise class in the past and wouldn’t tell people not to do them because working out with other people can give you great motivation that some just wont find working solitary in a gym. I couldn’t disagree more. Street food is one of the best parts of Thailand. Amazing, fast and cheap. Shrimp in curry paste on rice for 40 baht? (£0.82, $1.23). Still a great interview. Thanks Rusty. Hello, Rusty. Awesome interwiew, nice diversification to the site. I wanted to ask you something: what do you think of the Mark Macmanus’ method at musclehack.com? I don’t wanna disagree with you or anything, but that guy only workout for muscle mass and he’s pretty damn ripped! What are your thoughts on that? Thanks very much for all your knowledge. There wasn’t much mentioned about the kind of nutrition plan he had going on for the actors and for Leo?? K, but I’m talking about the e-book he wrote. When you do go back to lifting, maybe skip the direct leg work. For your upper body stick to low volume and low reps. Pick a weight you can do 7-8 times and stop short of failure…sets of 5 reps. You can increase the weight and get stronger over time, just don’t fatigue the muscle by hitting failure (that hos the potential to build the muscle and you are trying to avoid that). After you lift, do HIIT and steady state and you will be good. I didn’t ask Cornel about nutrition, but maybe he will chime in in the comment section. Diet is always a key ting to get right for fat loss. It looks amazing in pictures which means it is probably twice as amazing in person. I’m taking my girlfriend to the Mexican Caribbean in a few weeks and she has never been. That area of the world is breath-taking as well. Thanks for the compliment. I have been doing this for 3 years, but it still feels new and fresh…which is probably a good sign. I have a blast running this site. Shutter Island was amazing, wasn’t it. A must see in my opinion. Outstanding movie! You can get lean without cardio, but Cornel simply wanted to insure that the entire cast had no choice but to get lean. The volume of cardio he had the cast do was successful for everyone involved. I don’t blame him for taking this approach. If my reputation was on the line and I had to insure dozens of people needed to look lean, I would have taken a similar approach. Extreme measures for the next to impossible task he had to tackle. I agree with you that you can get lean without cardio, but you do have to be a bit more disciplined with diet. I like to do cardio, because it makes me feel healthy and I like to guarantee that I will stay lean. Many of my favorite fitness authors aren’t big fans of cardio. I like to take their approach of eating my way to fat loss and add some cardio on top of that…this is a sure way to get lean. Also…cardio works extremely well to get that extra push it takes to lose that last little bit of fat and water that hides muscle definition. I will try to get a post like this in once every 2-3 months. It is simply fun to read different training strategies. Most of these guys are too busy to run a blog, so I can get them some decent online exposure by doing Q&A’s on this site. I do say that diet is the most important factor…and I do like getting the fat loss going with a good calorie deficit. My approach is to diet “as if” you are not going to do cardio…but then add in HIIT and cardio. I do this to give the body no choice but to get really lean and drop fat. It works like a charm. Cornel had to take drastic measures and create a larger deficit than what diet alone would provide. A lot of my favorite fitness authors don’t endorse cardio, but I talk about it on my site as well as “Vacation Body Bueprint”…and I do it year round. Yeah…there is something to be said for the natural surfer build…it worked great for this movie and is a pretty decent look. I’d take this look over the overdone bodybuilding physique any day. Cornel wouldn’t endorse this type of volume most of the time either. You can do well with much less. Live and learn…I’ll ask about diet for my next celebrity trainer interview. Yeah…the UK probably just focuses on different things to a certain extent. There are some sharp minds in the US, but some of my favorite fitness authors are based in Canada. I love the street vendors when I’m in Mexico and I’m adventurous so I’d give it a try…plus I am a huge fan of Anthony Bordain and he endorses street vendors as well. There is always a bit of a risk factor, but that makes it fun. Not a bad approach either. John Barban and Brad Pilon train this way as well. Train for muscle…calorie deficit through diet to lose fat. There are a lot of approaches that work. I’m a cardio guy, because I like working up a heavy sweat to get rid of toxins…lose water that blurrs definition…and gives me wiggle room when I stray from my diet plan a bit. I try to diet like Brad and John, but then throw in some HIIT and steady state cardio on top of that. My bad…will do next time. hey rusty. Dude, personally the combo of Convict Conditioning and your Treadmill Ninja is awesome. im in rehab for a shoulder injury and slowly but surely getting into much better shape. I wish you would toot your own horn more for that little gem of an e-book. It goes well with almost any workout. My actual comment- Will you be reviewing this book? and have you ever heard of probodx? After seeing how much better BJ Penn has been in the ring lately, i;m super curious about how he trains now. Awesome interview, Rusty. I have to admit, Leo’s about the same age as I am. I used to dislike him just because he was in all of the teen pin-up mags… and well, I wasn’t! But I begrudgingly admit, the cat is talented, and probably doesn’t get his due like a more grizzled guy like DeNiro. I bet you when Leo gets to the age of Clooney, when he’s showing more years on his face, that will be his golden Oscar age. But I digress from the subject of the post, great interview. I remember reading a Japanese study suggesting that aerobic exercise metabolizes a greater amount of subcutaneous fat. Under this hypothesis, aerobic exercise provides a more immediate visual impact, as muscular definition is reached with a loss of subcutaneous fat over that of intramuscular fat. 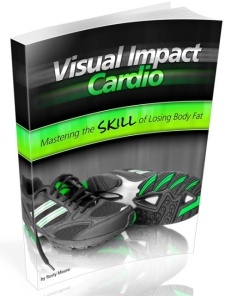 Of course, a total-body loss of fat gives the best visual impact, but think of it this way: if you’ve lost a lot of overall fat through diet and exercise, the final “visual sharpness” may be achieved by focusing more on aerobic exercise. Just an idea worth considering, and perhaps already put into practice by many. Great article like always. Totally addicted to this site. Keep up the good work Rust! But the real pearl is the book he wrote. As someone who studies inexpensive weight loss, health, and fitness strategies, I am excited to read Cornel’s strategies. It is very rare to find a fitness expert/personal trainer promoting inexpensive fitness. That is very selfless of him. I respect that. I like the idea of a personal trainer. It’s someone to hold me accountable. Sort of towards the end of the article reminded me of Bruce Lee. When Cornel said that it’s ok to train for several hours a day for a short period of time, otherwise you risk overtraining. And Bruce Lee was somehow able to train for many hours every single day for years. Put simply, the guy was inhuman, no one in todays world worked as hard as him. Period. I cant seem to find any one to help me with this. I understand that your body can handle things for 2-3 weeks or so before overtraining, but your vacation blue print states 3-5 weeks, while 300 trained for 2-3months. Now at 176 , 6” my goal weight is 160-165 so my calories will be 1650 or so with 2x fasts per week. Ill be lifting 3x a week with , 3x hiit on off days, and 3 hours of bjj on off days as well. Now with this plan can i go for the 5 weeks? since im not training as much as the people from the beach? A good way to ensure a great hotel gym is to check out http://www.HotelGymReview.com before you leave for your next trip. Also be sure to write reviews about the facility. We’re a new website so we really need people to write reviews. Great article. It is these background situations that one does not consider when viewing a movie. It just demonstrates again the commitment of these celebrities and actors. Ofcourse one also must applaud the talent of the people associated with guiding and supporting celebs to a level of fitness and or knowledge of the part. Leonardo is one of my favorite actors in hollywood. I like the movies of Leonardo like the Titanic and The Beach.. I always thought that Leo is a great actor. His recent movies, the Inception and the Departed, were excellent. There are not to many very good actors that will get involved in charity work and you do not hear to many spicy stories about them and so I think Leo is a great actor. Yes, it’s always nice to see these big celebrities like Leonardo keeping fit, many people look up after them, somewhat like a model for them, and can be an inspiration to hit the gym as well. Hey Rusty. LOVE your program! I am 5’2″ 113 and am trying to drop a bit of muscle and get down to 105. Think Danica Patrick (similar build). I have lifted heavy weight and know instinctively your methods will work better for me as Insanity did when i did it a while back. Question: Doing 20 minutes of HIIT 1 minute at 3.5 and 1 minute at 7 only burns about 130 calories for me and then I walk for 15 minutes. I work out at 4:30 AM before going to work and am going to try to get some additional walks in the evening to lean out my legs a little more – they have a great shape and aren’t BIG but I’d like them leaner with less muscle – built by too many squats and lunges! Anyway, is the after burn of this cardio burning more calories or do I need to do something more intense? Thanks! Previous post: How to Gain Muscle and Lose Fat at the Same Time?